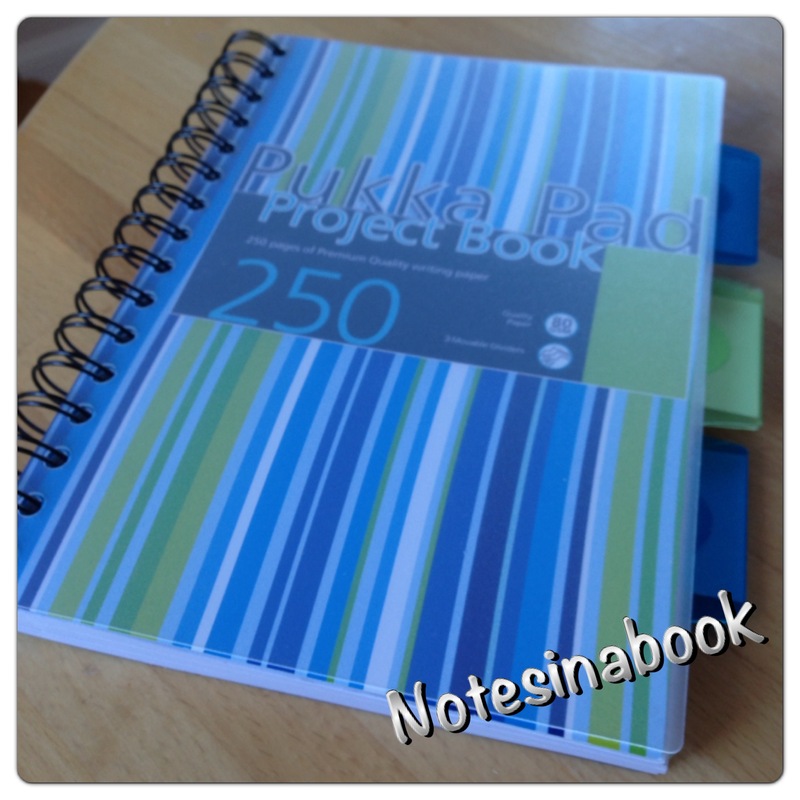 The Pukka Pad Project Notebook is a cheap and easy notebook to use on the go. I bought this one in WH Smith in an airport – as I felt like writing on the plane. This Pukka Pad Project Notebook is part of pukka pad’s stripes range. The feature that makes this a ‘project notebook’ is the dividers. This means that you can split the use of the notebook. For example I have a section for Ideas and Things to do List, a section for Free-Writing, a section for content and a section for resources. The dividers can be moved so not all your sections need to be the same size and this is a great function that not all project notebooks have. Overall, this notebook made a great addition to my monthly notebooks collection. It was suitable for scribbles and random notebooks and for tearing out pages when I needed a page on the go. However, I was disappointed by the paper. It lacked something. My favourite pens did not glide over it and I did not enjoy the experience. I write because I enjoy to write and this was a disappointment. I also found that some of my highlighters would be visible on the other side of page while some inky pens could be used (such as Stabilo Fineliners) others most certainly could not (a Sharpie bled through two pages). If you are looking for a notebook to organise your writing and make you more productive – this project notebook has potential. It performs well as a notebook, with the useful features like the moveable dividers and perforated pages ranking it above other affordable options. However, as a notebook to use to enjoy the experience of writing – give this one a miss.